Dinosaurs love to go on adventures, even in places readers may not expect. A trip to the dentist may not sound like much fun, but there’s a lot to explore once these dinosaurs get inside the dentist’s office. 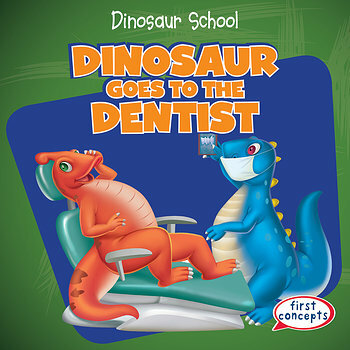 From brushing before going to the office, reading in the waiting room, and chatting with the dental hygienist, this book takes beginning readers on a fun journey through a typical visit to the dentist. There even might be a treat for this little dino for being a good sport while in the dentist’s chair!